Business blogging tools to help you craft content | KateCoote. Are you blogging for business yet? If you’re not, you should be! The average company that blogs receive 55% more website visitors than a business that doesn’t. 70% of consumers learn about a company through articles rather than advertisements. So, if you would like more website visitors, more inbound traffic and a more engaged audience, it’s time to start beefing up your blogging. 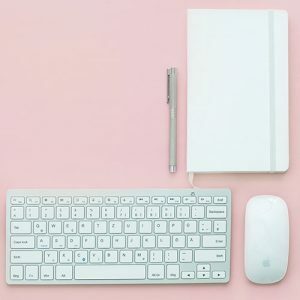 Today, I thought I’d share some blogging tools I use in my business that will help you create content your audience is going to love to read and share! We’ve all been there; sometimes it’s just plain tricky to get the creative juices flowing… But the next time you have a case of writer’s block don’t let it frustrate you, ask for a little help. Hubspot Blog Topic Generator – Enter five nouns around your specialist subject, and the Hubspot Blog Topic Generator will instantly provide you with a handful of blog titles to ignite your creative spark! Portent’s Content Generator – A similar idea to the Hubspot Blog Topic Generator with a dash of humour for good measure! Hit the right note, and your blogs can captivate your audience. You’ll become the go-to authority in your industry. Don’t let your pure professionalism down by allowing typos and grammatical errors to slip through your sparkling content. Grammarly – I never work a day without this excellent proofreading tool. It checks spelling, grammar and readability, offering alternatives words and phrases to improve your content. You can install it, so it’s used in-browser. Or, use it online, just by copying and pasting your text. There’s a free version or a premium (paid) version. Other proofreading tools include Hemingway App and Polish My Writing. A picture paints a thousand words, so it’s important to use images that reflect your brand as well as supporting the articles you write. Unfortunately, stock photos quite often look like stock photos. Here are a few sites that offer edgier alternatives. Death to the Stock Photo – Designers and creatives love this excellent stock imagery site. Each month they release new packs of photos that are delivered to your inbox. Tookapic – One annual fee gives you access to the whole collection of unique stock photos from photo journals. Unsplash – A generous community of photographers offer entirely free, high-quality images through Unsplash. Of course, if you would like to get all the benefits of blogging for business, but would rather concentrate on the things you do well, another option is to outsource your blogging and content marketing. That’s where I can help… At Kate Coote, we craft beautifully compelling blog posts that help you stand out from the crowd. Contact us if you’d like to develop your content strategy for 2019.